What could be better than the instax photo you took of the shoreline at Lake Como in Italy? How could you improve on the shot you captured of Wat Chalong, the Buddhist temple in Thailand? Is there any way possible to add more zing to the epic shot you took of the Eiffel Tower? Yes, there is! 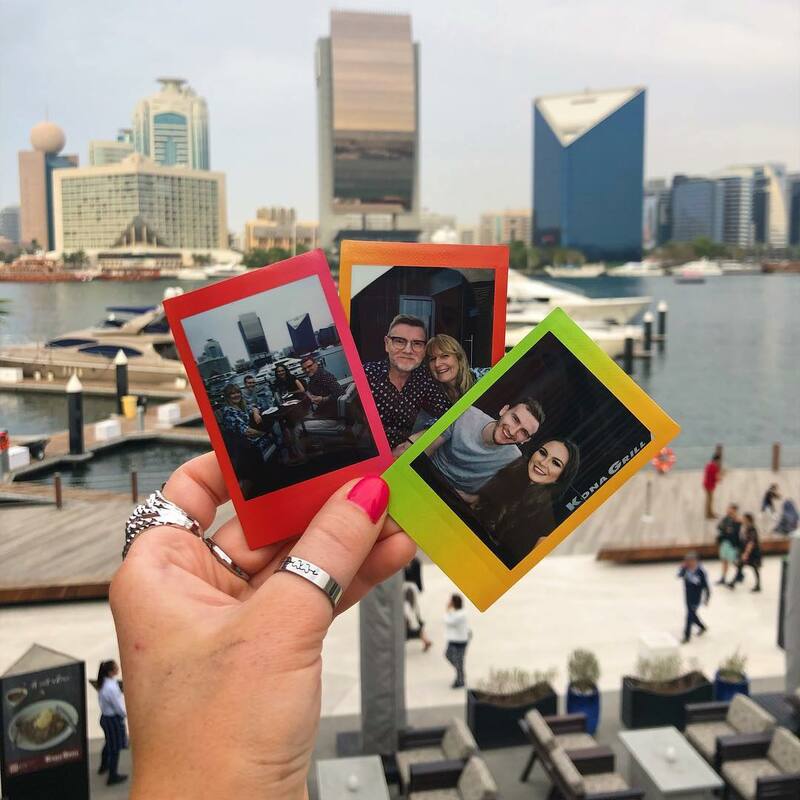 You can never be too creative or have too much fun when you’re shooting with an instax camera, especially when travelling and seeing new sites and cities every day.That’s why instax Mini film comes in a wide variety of frame designs. They’re simple to use, too. Instead of inserting regular instax film, you just pop these special film frames into your camera, and you’re ready to shoot. Rainbow frames come in a pack featuring 10 different colours, each of which gradually morphs into the next colour in the pack. Imagine a shot of the Hong Kong skyline with a frame that’s purple/black. Or how about a brilliant sunset shot with an orange/red frame? Candy Pop frames feature a background of colourful dots. Snap a pic of your daughter enjoying a strawberry ice cream cone at Disney World and stick it in your travel journal. So you’re hiking Mount Cook National Park in New Zealand and want to send a photo back home to your parents. Why not print it on an Airmail frame that boasts those signature blue and red dashes? Taking a photo for your love? Print it on a cheery Pink Lemonade frame. Do we really need to give you a reason to use the Hello Kitty frames? OK, we will. In addition to images of that adorable cat, each frame has a fresh green-and-yellow colour palette that’ll liven up any picture. Stripe frames feature pretty pastel diagonal stripes that’ll look too-cute with the pink sundress you’re planning on wearing out to lunch on the water in Sydney. Black frames will take your city shots to a new level. Imagine a photo of the Charles Bridge in Prague on a snowy winter day with this frame. The black/white contrast would be brilliant. Shiny Star frames are perfect for sharing selfies of you and new friends. There’s nothing quite like instantly holding a photo in your hand. Fuji instax frames allow you to get even more creative with your camera. Take some on your next outing and see how making memories can be even more fun.